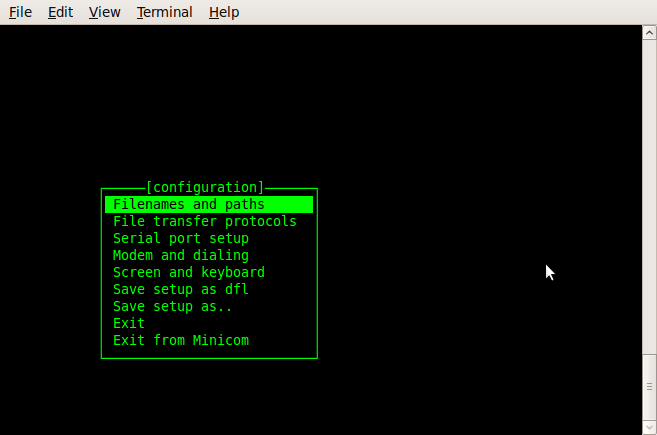 Minicom is a simple terminal emulator useful to test quickly the FOX G20 serial ports. -s parm runs minicom in setup mode. 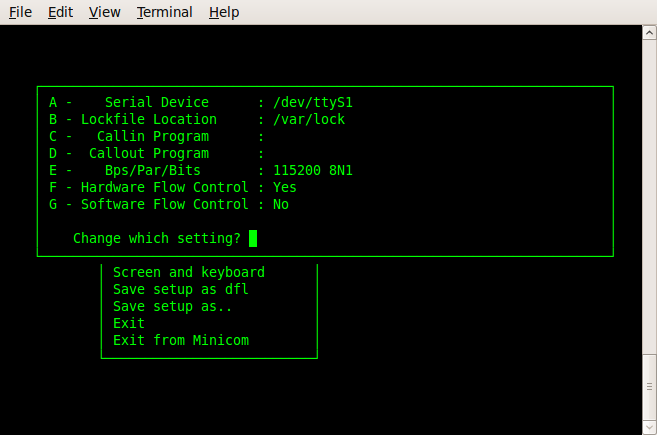 Now type [A] to change the serial port and [F] to disable the hardware flow control. Select Exit from the configuration menu. Now each character press on your keyboard is sent to the selected port and each character received from the serial port is print on the screen. Type [CTRL-A] and [Z] for more help on Minicom. By default the serial port are not accessible to the normal users, so when you run minicom we get a permission denied error. Logout from your Linux session. Login again and try to launch minicom directly without using the sudo directive.